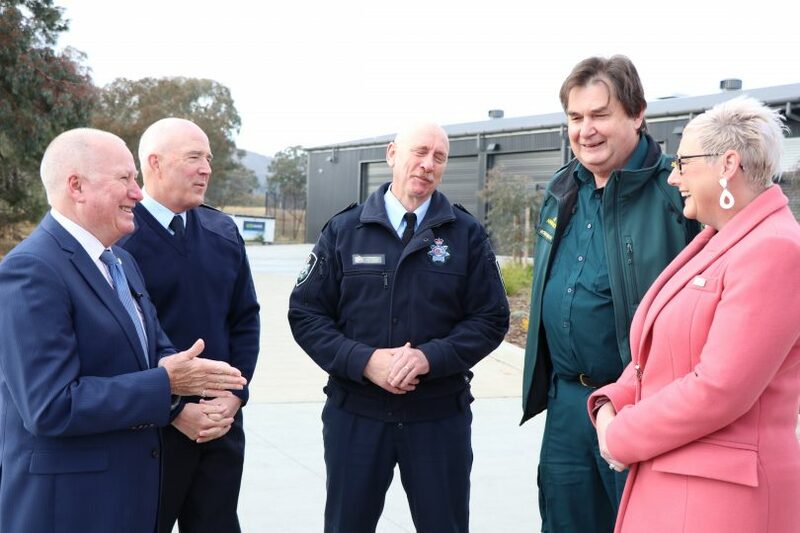 Pictured at the funding announcement are (from left to right): Police and Emergency Services Minister Mick Gentleman, ACT Fire & Rescue Chief Officer Mark Brown, Deputy Chief Police Officer John Bourke, ACT Ambulance Service Chief Officer Howard Wren and Member for Murrumbidgee Bec Cody. Photo: Supplied. 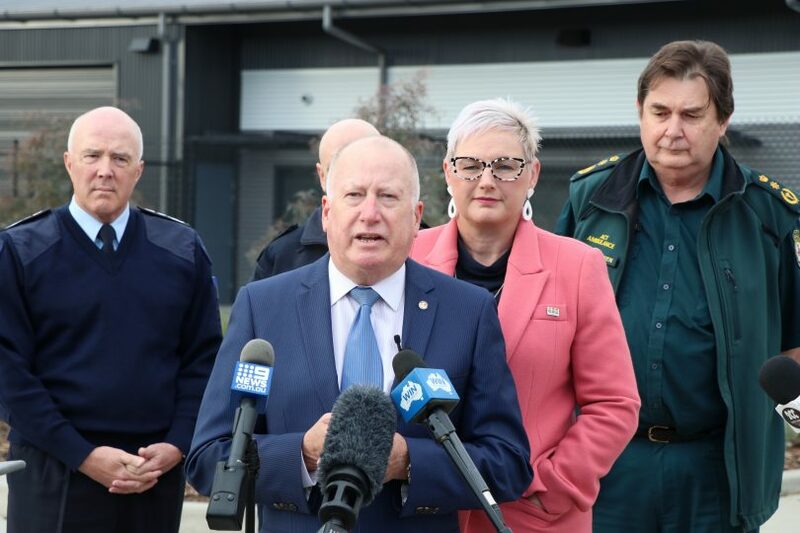 Next week’s ACT Budget will include funding for six more police and 18 new firefighters as well as equipment upgrades for the city’s ambulance and fire and rescue services. Four of the new police officers will be tasked with helping to identify and target crime hot spots while the other two officers will focus on delivering improved surveillance capability to allow ACT Policing to monitor the activities of criminal gangs. “This is a strategic investment in policing,” said ACT Police and Emergency Services Minister, Mick Gentleman. Mr Gentleman said that in addition to more frontline police, the 2018-19 ACT Budget will invest in new smartphone equipment for all officers to improve operations. “This technological solution will allow police officers to do more of their work while mobile. This investment will allow our police officers to spend more time in the community,” he said. Mick Gentleman announcing funding for six more police and 18 new firefighters in the upcoming ACT Budget. Photo: Supplied. Mr Gentleman said the 18 new firefighters will be recruited in the 2018-19 financial year and will replace retiring firefighters. “This ensures that those firefighters that are transitioning to retirement will be able to be backfilled – allowing them to take leave and be with their families,” he said. Mr Gentleman said the funding comes on top of the December 2017 announcement to deliver 23 more paramedics to the ACT Ambulance Service and that the upcoming budget will also provide equipment upgrades for the service, including new defibrillators and electric stretchers for ambulances. “These new electric stretchers are electric hydraulic and so they are able to lift patients without the physical dexterity that ambulance officers have been using,” Mr Gentleman said. ACT Fire and Rescue will also gain new equipment in the upcoming budget including new cardiac monitors and defibrillators being installed on fire appliances, as well as new protective helmets. In line with the Government’s pre-election commitment, there will also be funding to purchase a custom-built aerial pumper for ACT Fire and Rescue, adding to the 15 fire trucks already in service. “This investment in frontline emergency services will mean a boost across the board for Canberra’s first responders,” Mr Gentleman said.